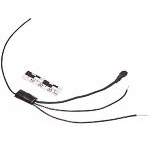 MGT Europe - MGT 010 Mini Micro - Crystal Controlled Analogue Audio Transmitter: the product designed, as an unpacked PCB sealed with protective compound is a universal module rated for hidden installation. 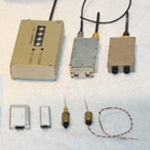 Up-to date components base and miniature crystal resonators made it possible to create the transmitter module twice smaller then its previous version. 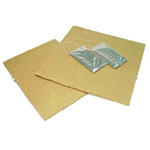 MGT Europe - MGT 032-038 Cardboard - Covert Analogue Audio Transmitter: durable high-quality audio monitoring & transmission via crystal controlled radio channel. 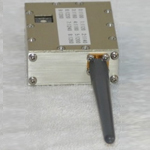 Analogue audio transmitter, antenna and power supply are installed in a sheet of 4.5-5.0 mm. corrugated packing cardboard. 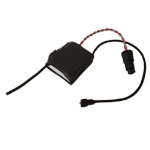 The product is equipped with a built-in microphone, special lithium power supply cells and transmission antenna. MGT Europe - MGT 100 mW MGT 123 /500 mW MGT 124 - Pocket / Belt - Analogue Audio Transmitter: differing in output power value MGT 123 and MGT 124 compact analogue audio transmitters are designed in tough metal cases with built-in power supply compartment, power switch, external microphone (70 cm) and flexible external antenna. 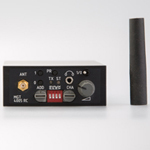 MGT Europe - MGT-ANALOGUE - Analogue Audio Transmitter System: is a tiny audio transmitter WFM. The system is designed to transmit the audio mono with high quality and with little consumption. The high quality and the smallest dimensions are the great revolution in the intelligence’s world. 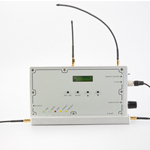 The system is composed of the little transmitter WFM and a compact receiver multi channel. The datasheet for the MGT Europe – MGT RV2000 Analogue Audio Video Receiver, is coming. In the meantime, contact us directly. 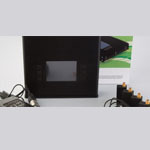 MGT Europe – MGT RV2000 AMS – Analogue Audio Video Receiver with Rugged Case: is adjustable on the front panel by preset switches at intervals of 1Mhz. The frequency range may be extended from 2015MHz to 2700MHz with a converter. The datasheet for the MGT Europe – MGT RV2400-2 Analogue AV Receiver (with built in monitor), is coming. The datasheet for the MGT Europe – MGT MTX 2500 1W Audio Video Transmitter, is coming. 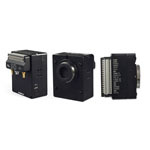 The datasheet for the MGT Europe – MGT MTX Cam 100mW Video Audio Transmitter, is coming. The datasheet for the MGT Europe – MGT 1W/5W Audio Video Transmitter in Rugged Case, is coming. The datasheet for the MGT Europe – MGT Covert Video & Audio Transmitter Receivers – Micro, is coming. The datasheet for the MGT Europe – MGT Silver 100 Covert Analogue Audio & Video Transmitter with RV2000 Mini Receiver, is coming. The datasheet for the MGT Europe – MGT MTX 2100 100mW Video Audio Transmitter, is coming. MGT Europe's Anti Drone UAV Detection System, DroneRANGER, in collaboration with our U.S. representative Van Cleve & Associates, Inc. (Alexandria - USA), won the MITRE C-UAS Challenge, Counter-Drone System. DroneRANGER - was awarded top performer in two of three categories, including Best End to End System and Best Detection and Determination System. Despite that drones were flown by autopilot (GPS) and a GPS jamming interdiction, due to U.S. FCC rules, DroneRANGER reached the best over-all performance. Among the initial 42 applicants and competing finalists, was the prestigious American Defense Company Lockheed Martin. The Anti Drone UAV Defence System DroneRANGER, was designed by MGT Europe (London - UK) and manufactured by VTE (Varese- Italy). 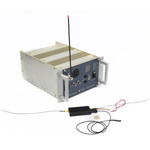 DroneTERMINATOR is a Modular Multi-Carrier high-power smart Jammer working in the range from 2MHz to 6 Ghz providing a safe countermeasure against a wide range of drone models. The datasheet for the MGT Europe - MGT Body Cam - Camera, is coming. In the meantime, contact us. 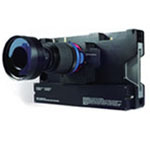 MGT Europe - MGT-15-Clip11 Body Worn Camera Video Recorder Body Worn Surveillance – State-of the-art Solid State Covert Digital Audio and Video Recorder. 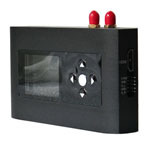 GT-NANO-Clip13 is the latest technology in audio video all-in-one surveillance system. 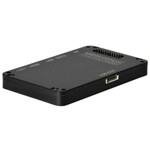 The small form factor and the discrete appearance are suitable for stealth applications. Its design allows long time sleep mode (consumption as low as 1mA) and remote wake up by sending an SMS or making a voice call. The integrated 4G/3G/2G communication system allows an easy remote configuration, a fluid media streaming and the download of recorded evidence. The MGT MTS CEX microwave links series is conceived for the transmission of Video & Audio or Audio only signals in FM modulation at Broadcast Level. 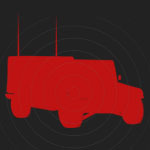 MOBILE MICROWAVE LINK - 1,5 to 15 GHz. 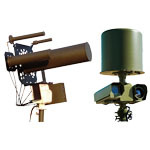 A COMPLETE RANGE OF PORTABLE SYNTHESIZED MICROWAVE LINKS FOR VIDEO, AUDIO AND DATA TRANSMISSION. MGT MTS-E microwave links series is conceived for the transmission at Broadcast Level of Video & Audio signals in FM modulation. The most modern circuit and electronic technologies have been used for designing and manufacturing our Analog equipment, in order to increase the quality, decrease power consumption and obtain a very reliable and suitable machine. The innovative “EDML” series of Digital Microwave Link for fixed applications represents the latest development based on our technological experience and knowledge. It is a Digital Microwave Link, extremely compact, flexible and competitively priced (in comparison with the analogue products). 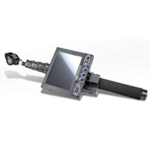 The MGT-ASI to G.703 (E3) interface is a data trans-coder that converts the MPEG2 Transport Stream formats commonly used in the broadcast industry for video distribution. 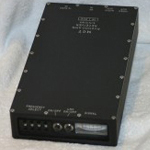 The interface accepts an ASI input encoded signal and converts it to the original G.703 (E3) signal. 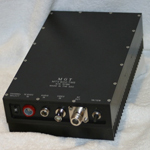 The MGT-G.703 (E3) to ASI interface is a data transcoder that converts the MPEG2 Transport Stream formats commonly used in the broadcast industry for video distribution. 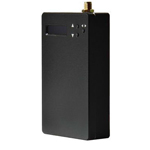 MGT Europe - MGT Adaptive Multi-Carrier Communication Jammer: it is the state of art of Mobile Communication Jammers. 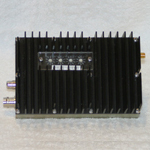 This product is a combination of a SDR receiver and a multi-carrier transmitters. The datasheet for the MGT Europe - MGT Cell Jammer, is coming. The datasheet for the MGT Europe – MGT-D400-IED-JAMMERis coming. 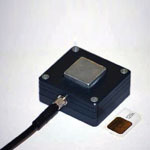 The ORION is a state-of-the-art Non-Linear Junction Detector which detects hidden electronic devices. 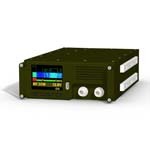 The OSCOR Green is a hand-held spectrum analyzer with a rapid sweep speed and functionality suited for detecting unknown, illegal, disruptive, and anomalous rogue transmissions across a wide frequency range. 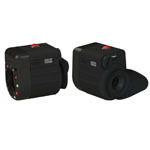 REI offers two compact, self contained, easy to use Video Pole Cameras providing a choice of extension lengths. The VPC-64’s 24 in (61 cm) pole extends to over 6 ft (1.8 m) giving the average user over 10 ft (3 m) of reach. 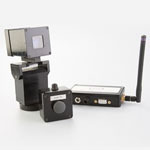 Detect & locate electronic surveillance device, such as room, phone, and body bug transmitters, up to 12 GHz. MGT Europe - MGT-15-Clip11 - Covert Video Recorder - Body Worn Surveillance – State-of the-art - Solid State Covert Digital Audio and Video Recorder. Specifically designed for Special Forces or Law Enforcement operations, covert audio/video surveillance and all those applications in which a concealable, high quality audio and video recorder is required. The device is light and compact (very low consumption 1w), making it easy to hide in virtually any small space. CLIP-11 is housed in a rugged anodized aluminium case in order to withstand even the most severe operating conditions. 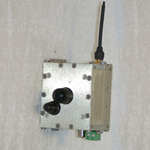 The MGT 120 is a new digital encrypted miniature audio transmission system. 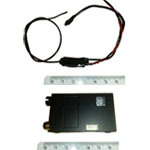 It consists of a digital audio transmitter and receiver. 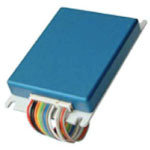 The receiving unit consists of a high quality communications receiver with additional decoder. 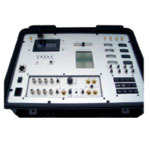 MGT Europe – MGT 4005 RC is a small digital audio transmission system based on SMD-Technology. 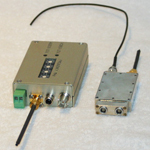 The device is designed for the UHF-BOS band. Audio signals are digitalized by a 9-Bit A/D converter, and, subsequently, encrypted. FLASH Digital Recording-Transmitting System (with Remote Control and High Speed Downloading). The system is rated for recording of audio intelligence and rapid transmission of recorded data via radio channel to the Remote Control receiver. The system is also applicable for real-time transmission of audio intelligence. 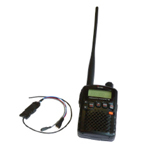 MGT Europe - MGT Micro Remote-Audio-ALPHA-VIII-MK.5 - Digital Audio Transmitter Radio Smart System: is a radio smart system that enable the user to acquire, monitor and store environmental audio information in a discreet way, keeping as low as possible the probability to be detected by R.F. Scanners by sending acquired information in short R.F. bursts. The datasheet for the MGT Europe – MGT UWB Burst Transmitter System, is coming. MGT Europe – MGT 10 Audio System is the best of stereo digital audio technologies. 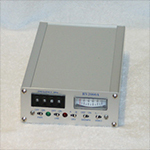 This system uses a hi reliability DSP system to process the audio signal. Hi quality DAC and ADC sample the Audio signal to very hi frequency (over-sampling technique) in order to even improve the characteristics of all audio path. 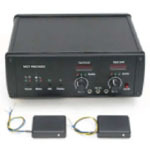 MGT Europe – Micro-Audio Safelock is an ultra-compact version of Safelock/Audio-Safelock, the leading video & audio encryption system for securing law enforcement microwave video surveillance links from interception.
. The use of advanced multi-carrier diversity reception technology. 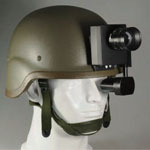 Support high-speed mobile and non-line of sight reception. Simple and efficient to use control interface. 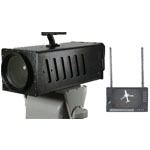 MGT-610 HD H.264 / MPEG2 COFDM Wireless Video Receiver, support high-speed movement and non-line of sight (NLOS) reception. 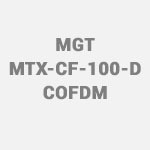 The datasheet for the MGT Europe – MGT MTX CF 100 D COFDM Digital Video Transmitter, is coming. MGT Europe – MGT-15-Clip11 Digital Video Recorder – Body Worn Surveillance – State-of the-art Solid State Covert Digital Audio and Video Recorder. Specifically designed for Special Forces or Law Enforcement operations, covert audio/video surveillance and all those applications in which a concealable, high quality audio and video recorder is required. MGT Europe in collaboration with Van Cleve & Associates, Inc., won MITRE C-UAS Challenge, counter-drone system. DroneRANGER – was awarded top performer in two of three categories, including Best End to End system and Best Detection and Determination system. 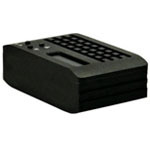 MGT Europe – MGT Pixel GPRS-SMS GPS & Cell ID Tracking GPS Transmitter is the best of stereo digital audio technologies. 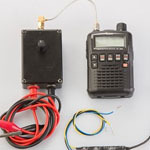 Tiny GPS transmitter based on a quadri-band GSM module. 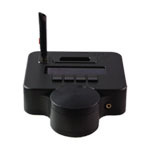 SIt can be positioned quickly thanks to its incredibly small size and the GPS and GSM antennas housed in the case. 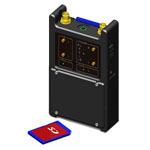 MGT Europe - MGT PIXEL NANO - GSM Audio Transmitter: the technical manual introduces the users at the correct use of the MGT Europe Audio GSM Transmitter PIXEL NANO. 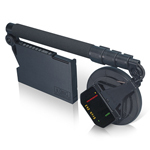 MGT Europe – MGT Cell Master Tactical IMSI Grabber is the best of stereo digital audio technologies. The MGT Europe - MGT-DECRYPTO Android Forensic System, the makers of smartphone and tablet are constantly looking for new solutions to protect the privacy of his/her own clients using sophisticated technologies to guarantee the maximum safety from the attempts of violation. 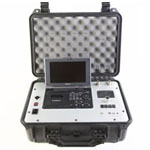 The MGT RC105 Analogue Receiving Case is a high quality, portable, professional audio/video receiver, monitor and recorder, all built to the highest technical specifications. 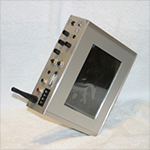 The datasheet for the MGT RV106 MK3 Video Audio Receiver Case (COFDM), is coming. MGT Europe's Radar Detection & RF Jamming, DroneRANGER, in collaboration with our U.S. representative Van Cleve & Associates, Inc. (Alexandria - USA), won the MITRE C-UAS Challenge, Counter-Drone System. DroneRANGER - was awarded top performer in two of three categories, including Best End to End System and Best Detection and Determination System. 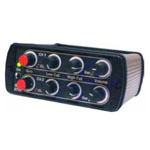 A digital four channel wired microphone to ambient surveillance system with USB recorder and encryption function. 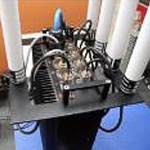 System incorporates a master receiver and 4 line microphones, interconnected via a twisted pair connection. The MGT RM2003D is a two-channel digital room monitoring system which uses the 110/230 V mains supply as the receiving medium. 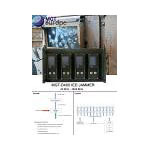 It consists of 2 MGT-TX2003D mains transmitters and one MGT-RX2003D mains receiver. 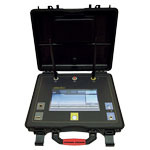 The datasheet for the MGT Europe – MGT Digital Mains Monitoring System 110/220v, is coming. The stereo stethoscope provides the capability to covertly listen through solid structures such as walls, ceilings, windows, doors and floors. The two high sensitivity accelerometer capture the faint vibrations generated by sound waves. 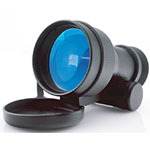 The stereo stethoscope amplifier STV-2 is used in connection with impact sound sensors of the KM or KB/KD series. 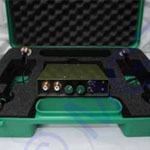 MGT Europe - MGT-2010 Laser Monitoring System Acoustic Room Monitoring: is specially designed for acoustic room monitoring. This system is operated by transmitting an invisible laser beam to the window of the target room. The window pane is slightly vibrating in accordance to the sound waves emanating from speech. The angle of reflection will be slightly changed. The receiver picks up the reflected beam that is modulated by the window pane vibrations. 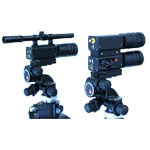 MGT Europe - MGT-ALMAS Optical Monitoring System Laser Technology Room Monitoring Surveillance Systems: it operates effectively at distances up to 20 m. MGT-ALMAS is ea sy to handle and does not require special training. The MGT Europe – MGT-SST-29 Stethoscope Listen Through Wall Microphone Amplifier, with USB recording, is the best choice when you need to hear through the walls. It uses the best stereo digital audio technologies applied to this market as a high reliability DSP system to process the audio signal. High quality DAC and ADC sample the Audio signal to very high frequency (over-sampling technique) in order to even improve the characteristics of all audio path. 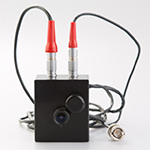 MGT Europe – MGT-OMS-1M Optical Monitoring System Room Monitoring Surveillance Systems:, is designated for quick detection and determination of concealed (camouflaged into various interior objects and garments) micro video cameras, including with the lenses of “Pin-hole” type. The Device has 2x magnification. The LEDs of green and red colours are used as illumination sources. 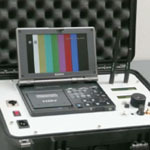 Green illumination enables to detect video cameras with protective filters which are being used against detectors which operate only within red radiation spectrum. The device is safe for short-time direct eye dazzling. Laser radiation is not used. 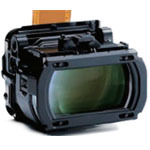 igh Definition 1920*1080 OLED Display Virtual Image Size:750″ in 20m distance HDSDI or HDMI directly input Ideal in electronic viewfinders(EVF) High Definition. The MGT Europe - MGT SS27 Stethoscope Listen Through Wall Microphone Amplifier, provides the capability to covertly listen through solid structures such as walls, ceilings, windows, doors and floors. 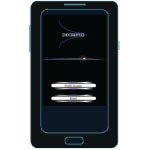 The two high sensitivity accelerometer capture the faint vibrations generated by sound waves. 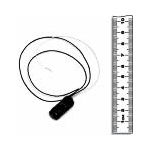 The MGT Europe - MGT STV-2 Stethoscope Listen Through Wall Microphone Amplifier, is used in connection with impact sound sensors of the KM or KB/KD series. The MGT Europe - MGT-SST-29 Stethoscope Listen Through Wall Microphone Amplifier, with USB recording, is the best choice when you need to hear through the walls. It uses the best stereo digital audio technologies applied to this market as a high reliability DSP system to process the audio signal. High quality DAC and ADC sample the Audio signal to very high frequency (over-sampling technique) in order to even improve the characteristics of all audio path. 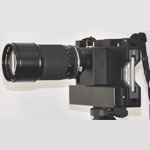 The datasheet for the MGT Europe – MGT Mini Pan & Tilt Head, is coming. 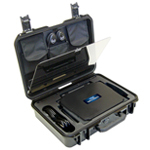 The MGTRDK Rapid Deployment VIP Protection Kit has been designed to provide rapidly deployable CTV and intrusion detection for all types of mobile operations. The MGTRDK Rapid Deployment VIP Protection Kit is a modular system that can be configured according to customer demands and situations.